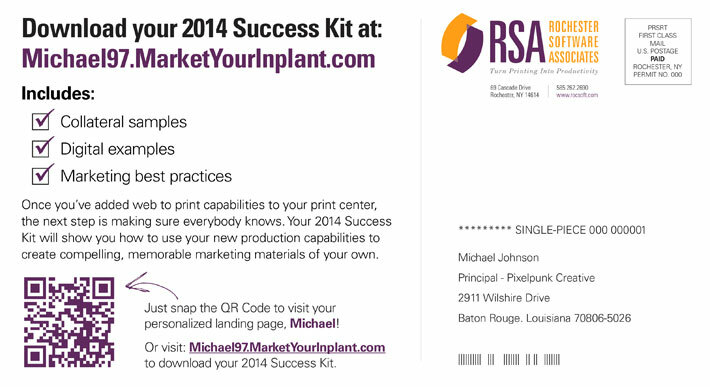 The last deliverables for RSA’s “Build a Better In-Plant” direct mail campaign just dropped. The campaign included three direct mail pieces (with personalized PURLs), email follow-ups, and dedicated web landing pages where the prospect could collect the unique offer associated with each piece (in exchange for some personal information, of course!). 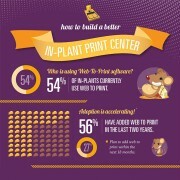 I was responsible for deliverables from concept, to design, to production, to print-ready digital files. I teamed up with copywriter and marketing strategist David LeVant to put a new spin on the ol’ “Build a Better Mousetrap” concept in the form of a downloadable infographic and “Success Kit”. 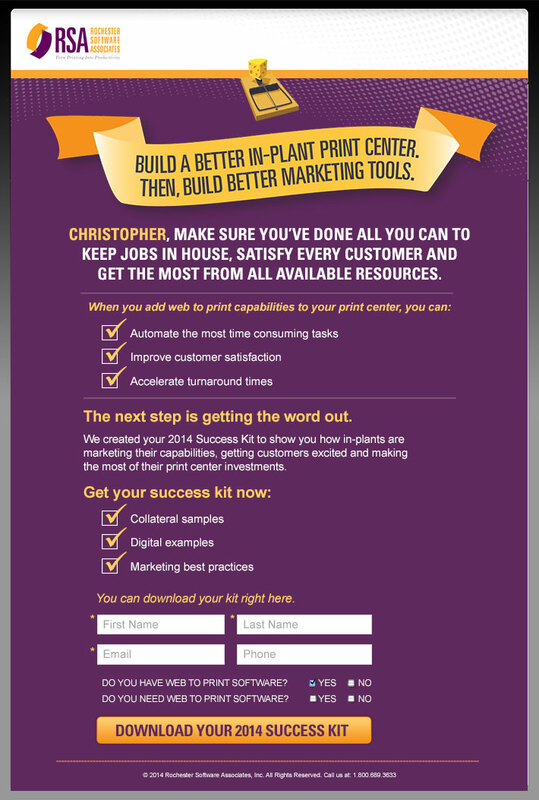 We used industry data (readily available to our client but not to their prospects) to help print center managers make their own operations more successful. 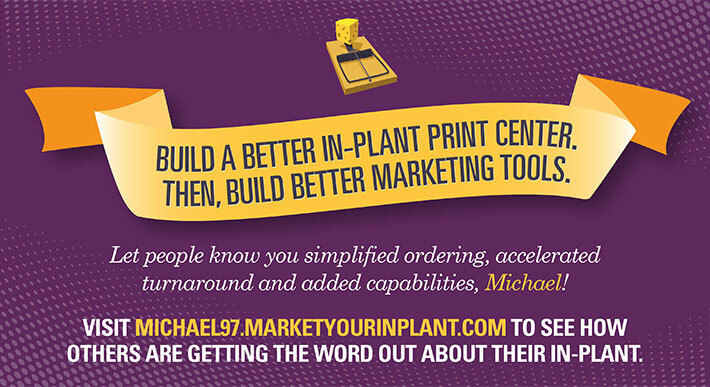 We followed up the inforgraphic with a ‘Success Kit’ PDF that showed how other successful in-plants are marketing themselves and how they can do the same. David and I have worked on dozens of projects for together for RSA, including a complete rebranding of their company back in 2010. This included everything from a new logo, sales collateral, direct mail, web pages, email templates, trade-show booths, print advertising, etc. We’re quite a team even though we live 1,361 miles apart. Skype, email, dropbox, and cell phones make collaborating seamless and I fly back a few times a year to catch up with my N.Y. clients and creative partners for one-on-ones in person. Hello! 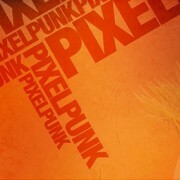 I am excited to share that Pixelpunk Creative now has a Google+ page. I invite you to follow my page, which will be focused on Web development, graphic design, and social media news and tips. I look forward to connecting with you on Google+! http://blog.pixelpunk.com/wp-content/uploads/google-plus1.jpg 285 285 pixelpunk http://blog.pixelpunk.com/wp-content/themes/pixelpunk/images/logo.png pixelpunk2013-02-25 15:27:492014-08-11 11:48:49Another PLUS for Pixelpunk! Don’t forget that many of your visitors are doing their due-diligence/research online so that they can ultimately make the decision to make the purchase at your brick-and-mortar store. A Google study from 2011 showed that for every $1 of online ad spend, advertisers realized $4-$15 in offline sales. Forrester Research estimated that $917 billion of retail sales in 2009 were made by “web-influenced” shoppers. 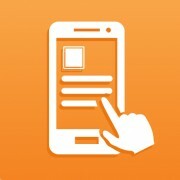 Provide your users with all the information they need to make the right vendor choice!